Children who spend time in nature are healthier, happier and smarter. They will also become the future stewards of our wild lands and beautiful spaces. Our free Junior Ranger Journals will help kids learn about nature, by drawing, writing and observing. 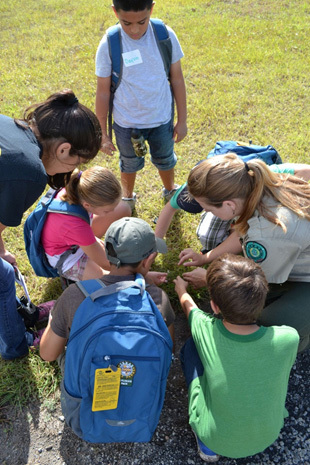 Our Junior Ranger Explorer Packs provide tools kids can use to explore nature. 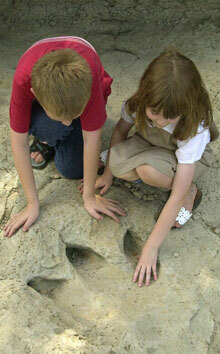 Bring your children to a state park and help them discover that life's better outside! 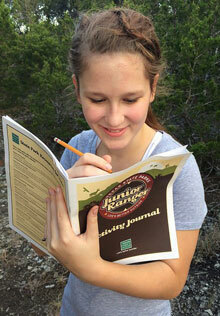 Pick up a free Junior Ranger Journal for your child when you visit a state park. Complete a certain number of activities (depending on her age) to earn a Junior Ranger pin. Complete a journal for each park–the activities are the same, but your child's experiences will be different because each park is different! Our parks have Junior Ranger Explorer Packs at park headquarters. Borrow one for the kids in your group on your next park visit! Each backpack comes with a pair of binoculars and a magnifying glass; an animal tracking key and guides to flowers, birds, butterflies, trees, rocks, wildflowers and plants; and pencil, crayons and watercolors along with a journal and sketchbook. 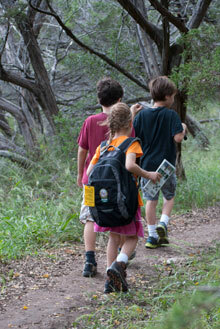 Look for mini Explorer Packs at some of our park stores, so your child can explore in your backyard, too! Or create your own Junior Ranger Explorer Pack by gathering some of the items listed above. Photos of current and future Junior Rangers at our parks.